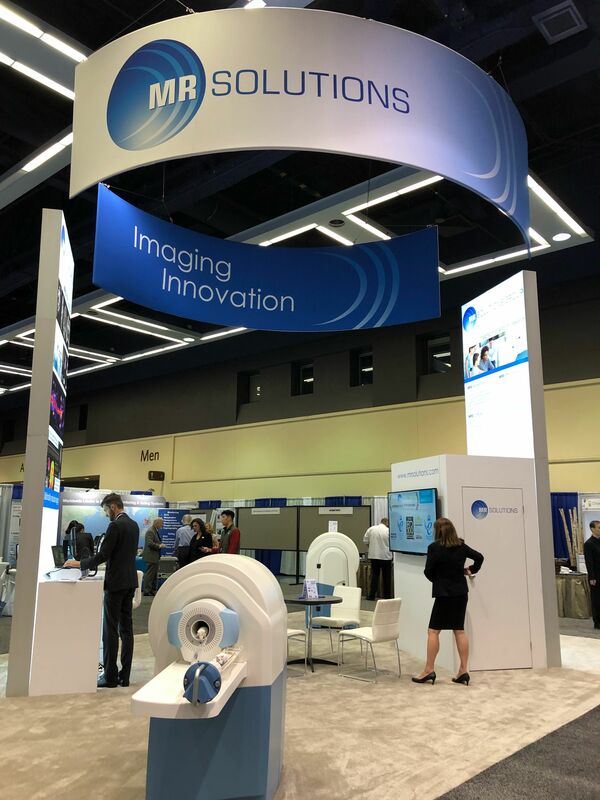 MR Solutions’ latest cryogen-free hybrid PET-MR multi-modality imaging system for molecular research was on display at the World Molecular Imaging Congress held in Seattle in September 2018. Visitors to the stand included leading researchers from around the world who are increasingly demanding this dual scanning capability which significantly improves the quality of the images to obtain better translational research results. Multi-modality PET-MRI is highly effective for the imaging of tumours, hearts and brains in rodents for oncology, cardiology and neurology research. The cryogen-free PET-MRI system combines high field 3T to 9.4T MRI imaging for the exquisite structural and functional characterisation of tissue with the extreme sensitivity of PET imaging for metabolism and tracking of uniquely labelled cell types or cell receptors. The imaging results have excellent spatial resolution at <0.7mm. These scanners are available either with a clip on PET module for sequential scanning or the PET detectors are built within the bore of the MRI scanner to provide simultaneous scanning. The clip on PET scanner can also be used independently as a stand-alone scanner. To complete the simultaneous imaging, the images are fused together in real time to give a much more detailed image of the animal with the advantages of both scanning techniques. MR Solutions’ preclinical cryogen-free MRI technology is easily accommodated in most laboratories due to its compact size. As the system is cryogen-free it does not require the costly and often difficult to get hold of helium supplies necessary. Other superconducting scanners still use liquid helium which demands emergency venting and a stray field of meters. MR Solutions’ scanners only have a stray field of a few centimetres so that they can be accommodated alongside other sensitive equipment.